Welcome to CB'S Toy American Eskimo's! - CKC & UKC Registered Toy Mini and standard - American Eskimo's We test for prcd-PRA - Eskimo's Hypoallergenic? Is the AE right for you? Welcome to CB'S Toy American Eskimo's! The Eskie, a Hypoallergenic breed? 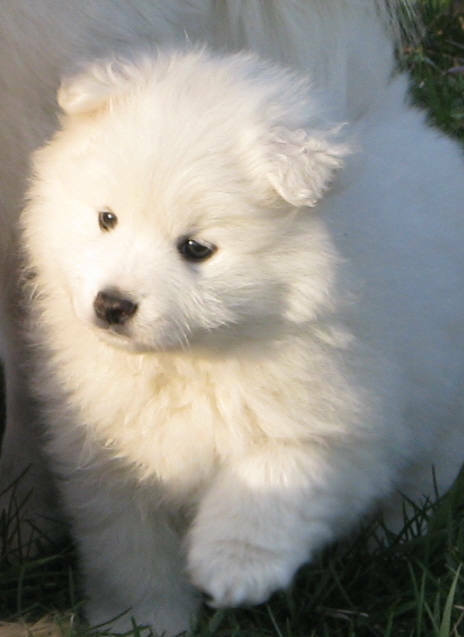 The American Eskimo's have a double coat of hair and have little to no dander making them a great choice for someone with Allergies. Watch this newsclip from Channel 2 Eyewitness News in Michigan about Champion Fox Vanilla Ice. It explains how people who are usually allergic to dogs are not typically allergic to American Eskimo Dogs.